The invention of the refrigerator was quite literally a culinary game-changer that revolutionized the way we preserved and stored our food. Today, it’s almost impossible to imagine a kitchen without this appliance. Even though it might take up a lot of room, it’s well worth it. Not only does it allow you to savor your leftovers for longer by preventing them from going bad quickly, a well-stocked fridge also saves you the time and money wasted on frequent trips to the grocery store. While the refrigerator might be an absolute godsend for most perishable foods such as milk, cheese, and meat, its frigid environment is not ideal for a few other food items. The cold temperature of the refrigerator can actually hamper the integrity, texture, and taste of some foods. We have become almost programmed to mindlessly shove all our groceries into the fridge, whether it be fruits and vegetables or nuts and baked goods. 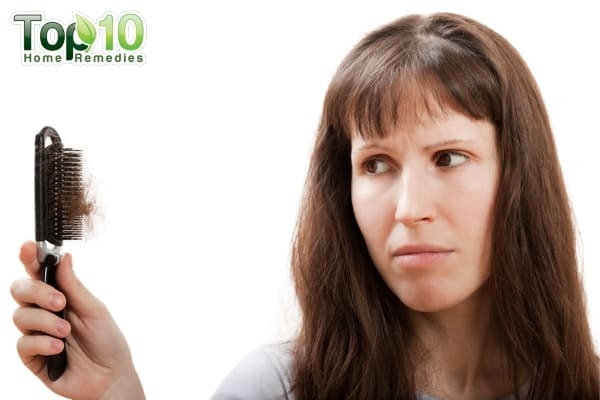 The truth is some items tend to turn rancid much faster in the cool confines of your fridge than they would elsewhere, for instance, in your pantry or on the counter. Most of us use a refrigerator with little knowledge about the types of food that should be stored in it. Here’s a rundown of some of the common foods that fare better at room temperature than inside your fridge. 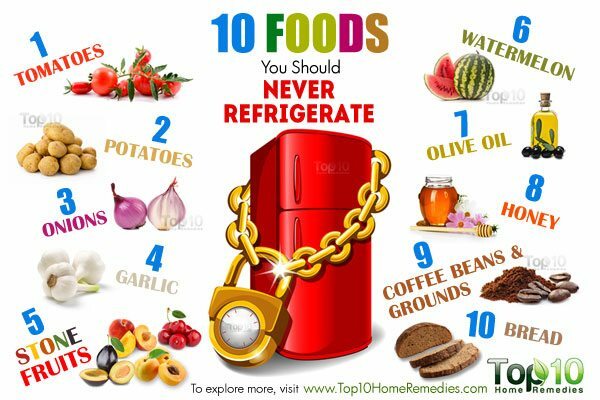 Here are 10 food items that you should never keep in the refrigerator. 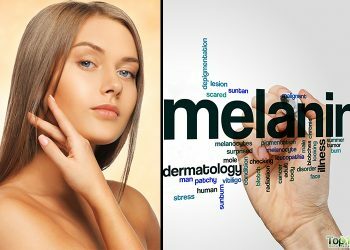 In fact, the study found that, compared with a freshly picked fruit, watermelons stored at room temperature had 40% more lycopene content and 139% more beta-carotene content. So, instead of keeping the whole melons in the refrigerator, leave them on your counter at room temperature. 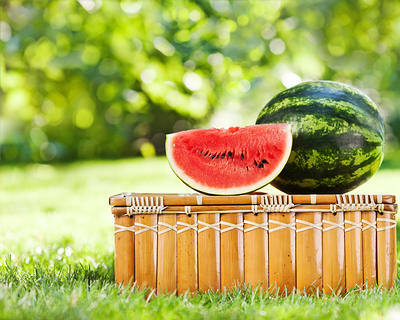 Keeping whole melons at room temperature can also help the melon ripen. However, once cut or sliced, it is recommended to cover and store the melon pieces in the refrigerator instead. One of the best places to store unripe tomatoes is on the counter at room temperature. To speed up ripening, put them in a paper bag. Plastic bags are counterproductive by trapping moisture around the tomatoes, thereby speeding the decaying process. 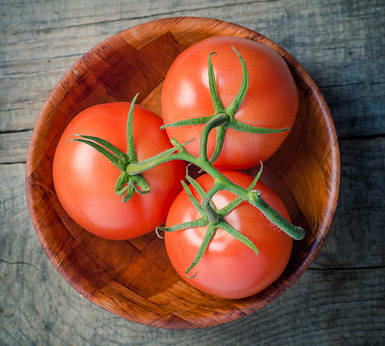 Ripe tomatoes are meant to be eaten within a couple of days, so buy them in small amounts as needed. Keep them at room temperature stem side down, away from sunlight. Room temperature here refers to about 70°F or 21°C. However, if you have overripe tomatoes, you can store them in the refrigerator for 2 to 3 days before they go bad completely. Cold air stops the ripening process. To “recondition” the refrigerated tomatoes, take them out and leave them at room temperature for a few hours. To get the best flavor, pick your tomatoes from a local farmer’s market. Potatoes are among one of the most consumed crops in the world. They have many other uses outside the kitchen. Keeping potatoes in the refrigerator will make them sweet and gritty in nature. The cold temperature breaks down the starch in the potatoes, thus increasing their sugar content. When sugars and amino acids react together, a chemical called acrylamide forms. Acrylamide is harmful to your health and increases the risk of cancer. (5) This mainly happens when you cook potatoes at high temperature such as frying. Avoid storing potatoes in plastic bags, because a lack of air causes them to start deteriorating quickly. You can keep them in a paper bag or a perforated plastic bag, which allows air circulation. Whole onions should be kept in a cool, dry, well-ventilated area in the mesh bag they come in. Do not store them in plastic bags, as lack of air circulation can affect their shelf life. Plus, never keep onions alongside potatoes, as the moisture and gas emitted from them can cause both onions and potatoes to go bad quicker than usual. Room temperature helps preserve your honey’s natural goodness. 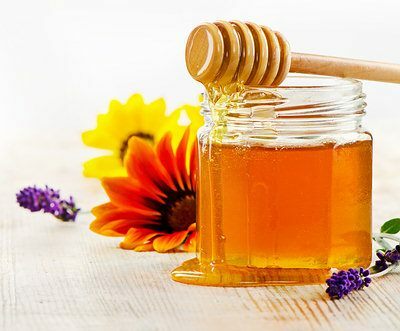 To keep honey fresh, store it in an airtight glass container. Avoid storing it in metal or non-food-grade plastic containers, as they can cause oxidization of the honey. Keep the container in a dry, cool place out of direct sunlight. A cupboard or pantry is best. Do not use honey if it smells sour or has visible mold growth. Properly stored honey may naturally solidify and crystallize as it gets older. To decrystallize honey, you can place the glass jar in hot water. As the water cools, the honey would decrystallize. You can repeat this step as necessary to fully decrystallize the honey. It is better to store olive oil in a sealed, dark-colored container and keep it in a cool, dark cupboard. It will remain in good condition for a year or two. Never keep your olive oil container on a windowsill, near your stove, or in a cabinet above the stove. When exposed to repeated heat and light, olive oil can turn rancid. Rancidity can set in long before you can taste it or smell it. If you suspect your oil is rancid, throw it out. It is not recommended to consume rancid oil. If whole garlic bulbs or garlic cloves are refrigerated, the cold temperature is likely to cause them to soften and start deteriorating. (11) It will even change the consistency and flavor of garlic. However, chopped or minced fresh garlic can be stored in the refrigerator in a sealed container for a short period. Always store your garlic bulbs in a cool place away from direct sunlight to extend their shelf life and prevent sprouting. Your kitchen cupboard or a shady corner of your kitchen counter works fine. The bulbs need to breathe, so never store them in a plastic bag or sealed container. Keep them in a mesh or wire basket to allow ventilation. 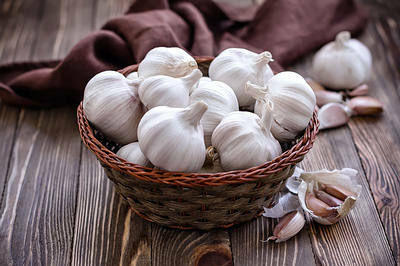 Once the garlic cloves are broken from the bulb, their shelf life shortens, so use them quickly. Plus, avoid buying young, wet garlic as they tend to rot quickly. 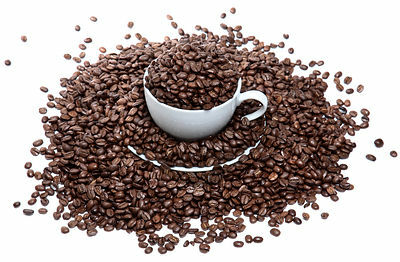 Coffee beans are hygroscopic in nature, which means they easily absorb moisture from the surrounding area. Moisture will affect the aroma and flavor of both coffee beans and grounds. Storing coffee beans in the refrigerator can cause the beans to absorb moisture and take on the smell of the other foods in the refrigerator. Also, try to buy your coffee in small quantities as needed. Coffee beans lose their freshness soon after the roasting process. Bread also should not be stored in the refrigerator. Wheat flour, the primary ingredient in bread, is a starch. 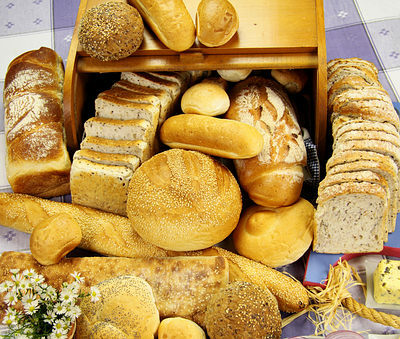 Keep your bread in a cool, dry place out of direct sunlight, such as in your pantry or a bread box. This will help maintain the proper crumb and crust texture. You can keep bread wrapped in plastic or aluminum foil at room temperature for no more than two days, or you could wrap an entire loaf in plastic or aluminum foil and store it in the freezer to arrest starch retrogradation and keep the bread in a stable state. If there is high humidity, buy fresh bread as needed and avoid storing it for the next day. Before using partially stale bread, heat it in the oven or toaster. Stone fruits are those that have seeds or pits in them that are relatively large compared with the size of the fruit. 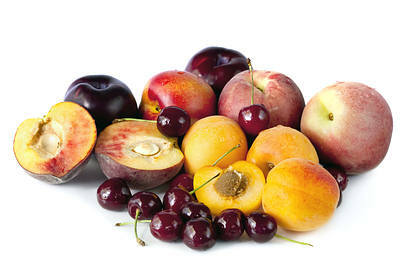 Examples of stone fruits include peaches, apricots, cherries, and plums. You can keep any stone fruits wrapped in a brown paper bag in a cool, dry place to hasten the ripening process. Putting them on a sunny windowsill or table can also ripen them quickly. (15) Always arrange the fruits stem end down and store them at room temperature until ready to eat. Once ripe, eat them as soon as possible. Plus, it’s best to buy these fruits in small amounts and when needed. If stone fruits are ripening too quickly, they can be placed in the refrigerator. Monitor them for signs of turning mushy, mealy, or brown. 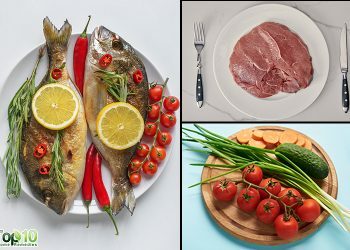 Consumer Updates – Are You Storing Food Safely? US Food and Drug Administration Home Page. 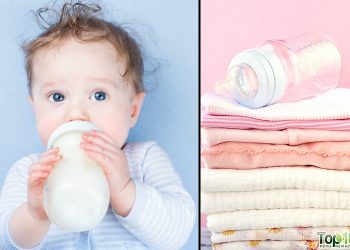 https://www.fda.gov/ForConsumers/ConsumerUpdates/ucm093704.htm. Published April 6, 2018. Veazie PP-, Collins JK. Carotenoid Changes of Intact Watermelons after Storage. ACS Publications. https://pubs.acs.org/doi/abs/10.1021/jf0532664. Published 2006. Kumar T, Chandra S, Singh A. Storage and Packaging Dependent Physical Properties of Tomatoes. Journal of Pure and Applied Microbiology. https://microbiologyjournal.org/storage-and-packaging-dependent-physical-properties-of-tomatoes/. Published September 29, 2018. Farneti B, Alarcón AA, Papasotiriou FG, et al. Chilling-Induced Changes in Aroma Volatile Profiles in Tomato. SpringerLink. https://link.springer.com/article/10.1007/s11947-015-1504-1. Published March 25, 2015. Acrylamide and Cancer Risk. National Cancer Institute. https://www.cancer.gov/about-cancer/causes-prevention/risk/diet/acrylamide-fact-sheet. Published December 5, 2017. Storing food safely – potatoes. Indirect. 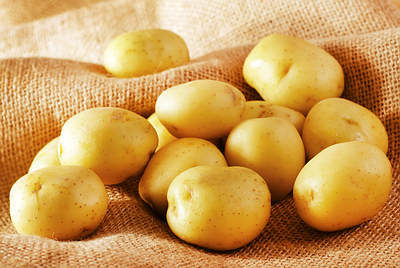 https://www.nidirect.gov.uk/articles/storing-food-safely-potatoes. Published February 16, 2016. 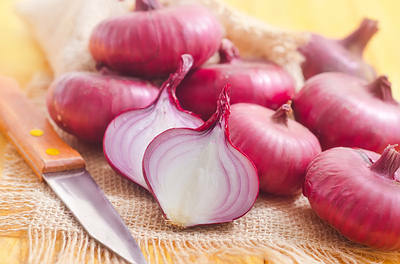 How to Select, Cut, Prepare & Store Onions. National Onion Association. https://www.onions-usa.org/all-about-onions/how-to-select-cut-prepare-store-onions. Onions and Garlic: Storage Tips. Cedar Circle Farm & Education Center. https://cedarcirclefarm.org/tips/entry/storing-onions-and-garlic. Westly E. Why does honey crystallize? Scienceline. https://scienceline.org/2007/04/ask-westly-crystallizedhoney/. Published March 5, 2010. Patritto L. Store olive oil to avoid spoilage and maintain nutritional quality. Michigan State University. 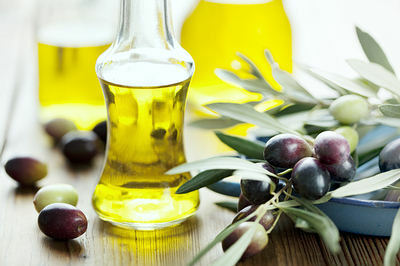 https://www.canr.msu.edu/news/store_olive_oil_to_avoid_spoilage_and_maintain_nutritional_quality. Published October 2, 2018. Harris, J L. Garlic: Safe Methods to Store, Preserve, and Enjoy. UC Agriculture & Natural Resources. https://escholarship.org/uc/item/8m47003z. Published January 3, 2018. How to Store Coffee. NCA – National Coffee Association USA – Est. 1911. http://www.ncausa.org/About-Coffee/How-to-Store-Coffee. David A, NAGHIU A, OLAR D. The Influence of Storage Temperature on the Bread Quality. Bulletin UASVM Agriculture. https://www.researchgate.net/publication/259744863. Published January 2012. Cold Storage Conditions – Cooperative Extension: Tree Fruits – University of Maine Cooperative Extension. Cooperative Extension: Tree Fruits. https://extension.umaine.edu/fruit/harvest-and-storage-of-tree-fruits/cold-storage-conditions/. Keep Fruits & Vegetables Fresher Longer. heart.org. 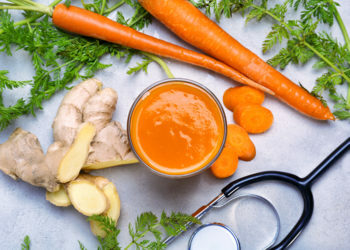 https://www.heart.org/en/healthy-living/healthy-eating/add-color/keep-fruits–vegetables-fresher-longer. Published April 25, 2018. I like this page soooo much…. Very informative and useful remedies I like it ? Thanks for the messages. In that list I keep only tomatoes. Honey will not spoil. It cannot support bacteria and it never gets moldy. If it crystlizes put in in a pot of water at 125 degrees ferenite and it. Will reliquify. Honey has been found in Egyption tombs that are 5000 years old. Can be liquified and used. I suggest buying your honey from a local bee keeper or farmers market as national brands are usually altered. with Chinese honey or from other country’s where chemicals are not allowed to be used in our country. Txs for all the info!! !